I am a week behind in Running Man headlines! My apologies, I spent far too much time over the holiday weekend watching Heartless City/ learning the names of the members of Exo (dagnabit- I was sick of not being able to tell these kids apart). So, here are some headlines from the last 2 weeks. Cheers! 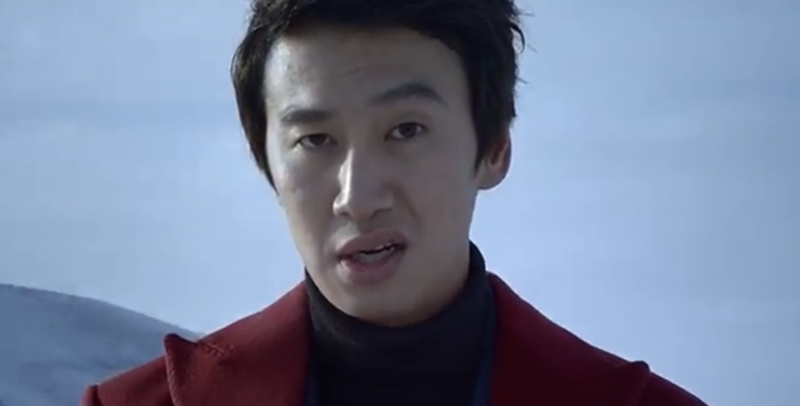 Do you remember Kwang Soo’s trip to Alaska last month? Well, apparently it was more than a vacation. The giraffe visited the land of ice and snow to film a hilarious CF for True and Clean (anti-freeze, I think?!). You can check out all of the commercials in the play list here (yes, there are BTS and a few CFs for your enjoyment). 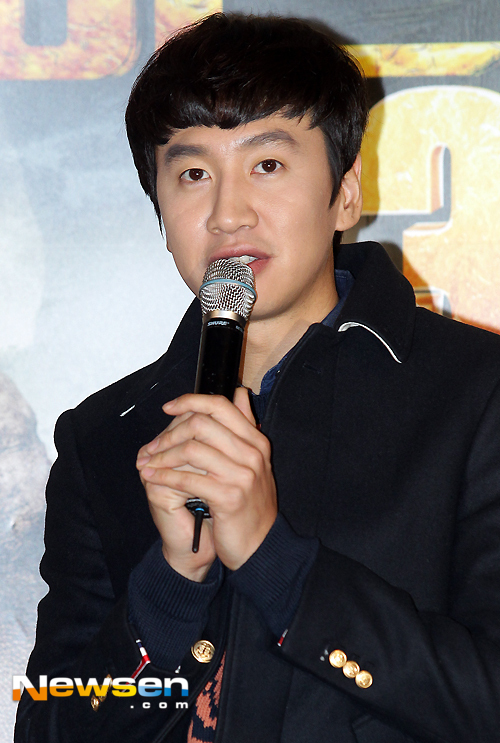 On November 27th Kwang Soo attended a press conference for the upcoming animated film Dinosaur Adventure 3D. 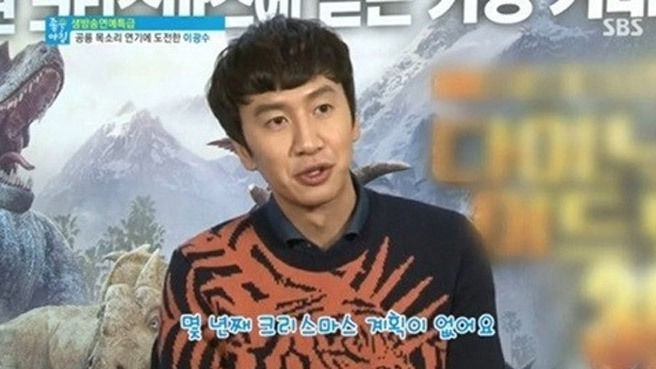 Kwang Soo has dubbed the voice of the main character Pachi. During the film’s press conference, Kwang Soo was asked about love. His answer made me want to laugh and hug him at the same time. Reporter: In the film, Pachi has a girlfriend. It does not seem like you have one. LKS: I’ve been spending a lot of time with good people around me. I’ve been keeping myself busy with schedules that I don’t even have time to think ‘I wish I had a girlfriend.’ I love meeting people so I’m rarely by myself. I feel thankful for this. But when I see Moon Geun Young and Kim Bum, I do envy them. They are very cute when they’re together. Awwwwww! 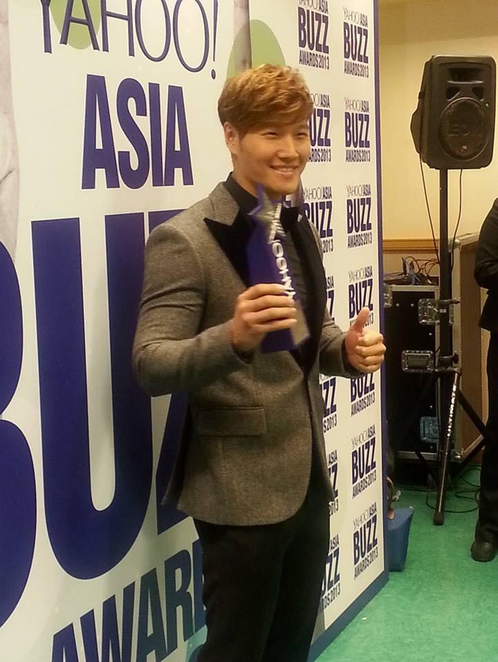 Wait- are you going to spend Christmas with Kim Jong Kook?! Daebak! Miss Mong cast in new drama? OSEN recently reported that Song Ji Hyo is in talks to star in a new tVN drama tentatively titled A May’s Garden. The show is also in talks with Choi Jin Hyuk (Heirs, Gu Family Book) for the leading male role. The drama would air next year following the conclusion of Answer Me 1994. The premise has been revealed to be a romantic medical drama, focused on how two people live out a relationship and eventually reconcile via the high pressure world of the operating room. Hmmmm. Now, I will warn you, the scriptwriter of this drama is said to be Choi Yoon Jung, who penned the mediocre 2011 drama Lie to Me. While I love seeing Ji Hyo act, I also have recently been burnt with some terrible dramas (cough Mi Rae’s Choice cough) so I will have to really think about this before I tune in. I know, I should think of something better- like world peace. But I am pretty sure I would have blurted out “Let Lee Kwang Soo and Jung Woo make a movie” first. Rumors started swirling this week that Jung Woo (who is doing an amazing job as Trash Oppa in Answer Me 1994) and Running Man’s Giraffe are set to star in a new movie together. The film is titled “Good Friends” and will feature three main characters who, through their close bond, end up committing crimes. Lee Kwang Soo in a semi-serious role? Yes please. Can I have seconds? Kwang Soo would play the role of a kindhearted and naïve man, while Jung Woo would play a rough talking but affectionate friend. 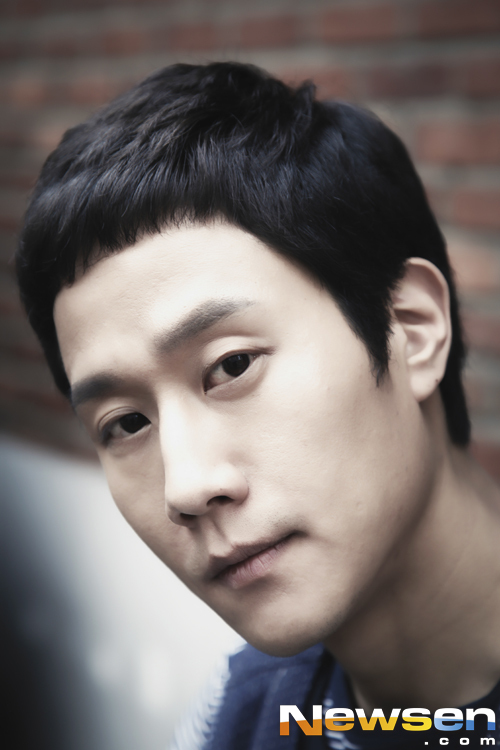 The film is going to be directed by Lee Do Yoon and is said to begin filming at the end of December. Here is hoping that my wish comes true and both actors appear in this movie. Because then if I ever have a genie I pretty much get a wish back. Cheers!